The libretro team makes all final decisions on bounty allocations and disbursements. While we intend to listen closely to community input, ultimately we have to be able to make the final decisions. All contributions must follow coding guidelines and meet approval of the libretro team before disbursements will be awarded. We can’t pay out if the code isn’t usable and/or maintainable by us. Pursuant to #2, potential contributors should contact the libretro team prior to beginning work to make sure the final product will be acceptable. This is intended to avoid misunderstandings and other conflicts. We don’t want someone to work hard on a fix or feature only to find that it’s not going to be acceptable for whatever reason. We will try to do as much as we can through Bountysource, where we can link specific issues from our Github repos to bounty values. This is especially applicable to smaller tasks. However, it may not be appropriate for all tasks, and we’ll decide how to deal with those that don’t exactly fit on a task-by-task basis. Pursuant to #4, potential contributors should contact the libretro team and determine an actual disbursement value based on the magnitude and difficulty of the task. We may need to negotiate up or down to find a fair value, based on the contributors’ skillset, or the amount of tutoring needed to get contributors up to speed with the codebases/APIs involved, etc. Disbursements can be made in the form of cash payments, the purchase of hardware for development and/or testing, etc. We want to be able to help developers with whatever they need. Sometimes that will be in direct payments, other times it may be in specialized hardware for porting/maintaining or reverse-engineering or whatever. Again, this framework is a work-in-progress, so if you have any questions or concerns, feel free to contact us, either on Github or in #retroarch on Freenode IRC. The Libretro Project (comprised of Libretro, Lakka, and RetroArch) is now on Patreon! We hope this Patreon will enable us to accelerate development and be able to serve users in lots of benevolent ways! 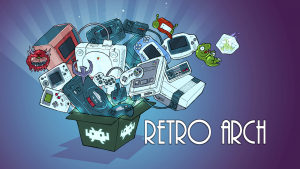 This Patreon covers the Libretro, Lakka, RetroArch projects. And another, soon to be disclosed project as well. Right now we are at $230 as of this minute. We thank every Patron so far that has helped us get to this stage in such short time, suffice to say you won’t be let down! Let’s go over some of the goals as they stand! $150 – Bounty for core work every month! Reached! Already the $150 goal has been reached which will allow us to place bounties for core work to be done! We allocate a total of $50 / month that will go towards bounties. $200 – ProjectFuture Greenlight! Reached! I will be revealing soon what this project is about. Let’s just state it’s going to be an even bigger and more expansive project than RetroArch has been so far, and it’s one of the main reasons why we finally went ‘why not?’ with regards to the Patreon. Stay tuned! This is going to take months and months of work, and will take other considerable resources in order for us to be able to see it to completion, and it’s definitely one of those ‘flying very close to the sun’-type endeavors, but as with everything with this project, ‘dreaming big’ and ‘foolhardy’ are comfortable bedfellows. We want RetroArch users to be able to play online multiplayer games with each other through the RetroArch interface. We are going to allow for PSN/XBLA-like features, except free of charge! The prospect of true crossplatform free netplay from an easy and console UI-style interface is soon to be within reach once we hit this target! The aim is that every user will be able to quickly and easily setup a netplay game from within RetroArch without the need of a keyboard/mouse! We want console-style netplay ease of use ! $500 – Stability checks, Quality Assurance, etc!. It’s no secret that for years we have relied on volunteer work in order to get where we are. This entire project entails a maddening amount of work that we have to put in on a daily basis to keep the entire show up and running, and the amount of work keeps growing every time we add another platform port or add a new core. 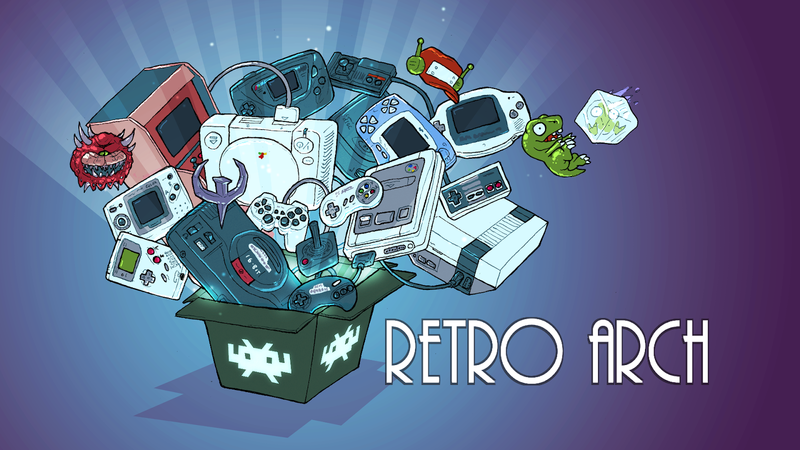 Once we hit our $500 target, we are going to be paying a couple of developers whom have been loyal towards the project to keep tabs and checkups on RetroArch and various libretro-related cores on a bi-monthly basis. This way, bugs and regressions are easily spotted and we can instantly fix them. We are going to be posting bounties for various remaining issues (whether it be RetroArch or cores), and any developer will be able to fix these issues and claim the reward! Finally we can start claiming bounties for some of the things that RetroArch and Lakka might still be missing! Good developers don’t grow on trees, neither do contributors. We hope that through these bounties we will be able to significantly improve the software and get to our goals much quicker! NOTE: The amount of money that will be allocated for this is variable and decided at our own discretion.